When Nick Christy first came to Brisbane from the UK in 2007, he arrived at the height of one of the worst droughts in Australian history. The crisis was so bad that Queenslanders were being asked to take four-minute showers in order to conserve water. Christy decided there had to be a better way, and started the long road to finding a more efficient shower design. Christy eventually heard about Peter Brewin, an industrial-design student at the Royal College of Art in London. Several years earlier, Brewin had begun work on a recycling shower system that uses 70% less water and energy than conventional showers without reducing flow rate, water pressure, temperature or time spent in the shower. The two men pooled their talents and founded CINTEP. The humble shower uses more water than any other household activity, and more power than anything apart from space heating or cooling. “Next time you get a shocking water or electricity bill at home, blame your badly designed existing shower,” said Christy. But CINTEP’s Water Recycling Shower will save a typical household 37,500 to 75,000 L of water a year. Additionally, the shower uses 40-70% less power, which saves upwards of 1900 to 6000 kWh of energy per annum. The CINTEP Water Recycling Shower. Beginning each shower with 3 L of fresh drinking water, the product captures, filters and heat-pasteurises the water while it is in use – it’s the same method used for purifying milk. The entire process takes less than 30 seconds and treats the water to meet the required safe-water standards. This means that no person using the recycling shower will share the water with another user. The system also includes a hydrocyclone that uses centrifugal force to fling undissolved particles, like dirt or sand, to the edges, where they are separated from the treated water and washed away. 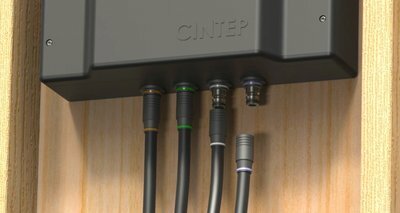 CINTEP engineers used the 3D design, simulation, collaboration and visualisation capabilities of Autodesk Product Design Suite Ultimate, a suite of software tools used for evolving design concepts, generating parts for rapid prototyping, and producing detailed models and drawings for manufacturing. During the optimisation of parts for structural integrity and performance, the company used Autodesk Simulation Mechanical and CFD software to ensure reliability of components and improve the flow characteristics of water. Reception to the Water Recycling Shower has been overwhelmingly positive, with the prototype winning the prestigious Dutch Lottery Green Challenge. 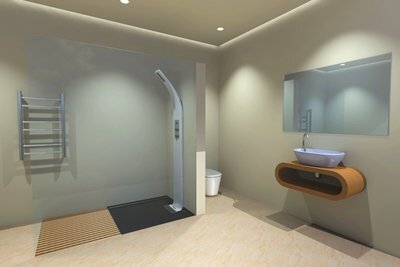 According to Christy, “It has applicability anywhere there is a conventional shower used. The biggest challenge is getting to people to adopt it. The product is expected to be launched in drought-prone areas towards the end of 2014, with an incremental approach to international distribution to follow.